VISION EYE CENTRE, a comprehensive eye care facility provides state of the art services to patients from all over the country. It also caters to a large number of international patients. The centre is committed to providing world-class quality ophthalmic care in a humane, compassionate way. The Eye centre has a quality infrastructure with an ultramodern complex of operation theaters, the good available Diagnostic and surgical equipment, and an extremely pleasant and aesthetic ambience. The Ophthalmic and technical manpower providing super speciality eye care services, is trained at some of the best institutions in the world. Chairman, Dr.A.K Grover, a Padma Shree awardee by the President of India, and a past president of All India Ophthalmological Society, is a pioneer in Oculoplastic Surgery and Phacoemulsification and is one of the topmost professionals in the country with great international recognition.The centre first established in the year 1996 at West Patel Nagar, New Delhi as good eye centre in NCR had an overwhelming success, prompting the setting up of the second centre. 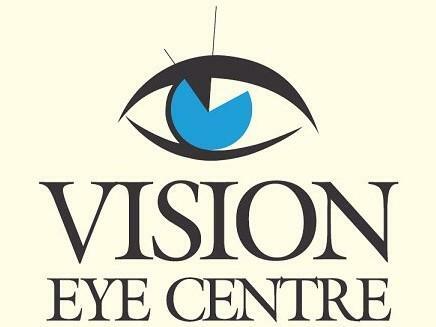 Located at 19, Siri Fort Road, the centre is easily accessible with comfortable space for parking.We are committed to meet customer's needs and expectations by delivering competitive services and solutions through continual improvement of our systems.Vision Eye Centre is based on the philosophy`Excellence … with a human touch’. The centre strives to provide the good in super speciality Eye Care by some of the professionals in the world. The infrastructure is world class with the best equipment – Diagnostic, tTherapeutic and Surgical. The operation theaters are world class with laminar flow, positive pressure, 20 air exchanges/hour and three levels of filters including 0.3 micron HEPA filters for the utmost in patient safety. We strive to provide an ambience of utmost courtesy and comfort with the philosophy `patient is the king’. The staff is trained to be professional, technically proficient, courteous and oriented in quality control measures to deliver a world class service. We are making an effort to provide special services to international patients travelling to the centre from different parts of the world.With 16 years of track record as a service provider where we have seen over 3 lakh patients and operated several thousand satisfied patients the centre has an enviable reputation both amongst the general public and professionals. The recognitions have come from National and international organizations including a Padma Shree from the President of India.Operation Theaters The centre has one of the best available operation theater complexes with three modular stainless steel OT's with laminar flow, three levels of filters including 0.2 micron HEPA filters, positive pressure, 20 air exchanges per hour by a dedicated AHU for each OT. INFINITI® Phacoemulsification machine: INFINITI' Vision System uses optimized OZil® torsional emulsification. With enhanced fluidic management and surgical control, the INFINITI® Vision System delivers the strategic advantage in customized phaco procedures. ACCURUS® Surgical System: Provides exquisite control for posterior, anterior, and combined procedures offering a wide range of probe technology -20 G, 23 and 25 G (Sutureless Vitrectomy) Radio -frequency machine (Ellman): Allows coagulation prior to cutting in Oculoplastic and aesthetic procedures, thus reducing blood and visibility loss. The centre has three world class Operation theaters, steel reinforced, with laminar air flow system (20 exchanges per hour) and HEPA filters (filtering out particles greater than 0.2microns in size). Sterility in an operating theater is an absolute imperative for ensuring that patients are protected from vision-threatening infections. The system at our operation theaters filters air and creates an extremely homogeneous laminar flow with very little turbulence. Any bacteria, viruses or dust particles are extracted directly before the air enters the area. This means that the operating area is completely isolated within the surrounding room, effectively preventing any contamination by bacteria or virus-laden air. The low degree of turbulence also provides a pleasant working environment for medical personnel. The equipment for sterilisation are the most advanced available anywhere, including horizontal autoclaves, flash autoclave, and ETO sterilisation. The theaters are equipped with state of the art instruments e.g. Advanced phaco machines (INFINITI vision system with OZiI, AMO AND NIDEK, Laureate world phaco system), Accurus Vitrectomy system (23G,25G), Radio frequency machine (Ellman) etc. Surgical team I would like to invite you to the centre for the good available eye care on par with the best in the world. The ambience and the courtesy will make you feel at home. You can depend on us to provide you the highest level of professional services with a humane touch. Professionally very sound,listening to patients problems patiently,sweet mannered,nice explanation,fair dealings. Excellent services. I was attended promptly. The doctor was very polite and attentive. Satisfied with the service. Very nice experience. God bless the team. A quality health services are must in everyone's life that is being provided by the team very well. Well done, keep it up. I visited dr Grover for Squint Surgery. i was asked that surgery will be done by dr grover itself. but later on from source I got to know that squint surgery are done by dr ashutosh not by dr grover.After this I tried many times to just confirm about it .all the time I was given same answer" that both remain present at the time of surgery.Actually when I was in OT , dr grover was not there.though I was not able to see that time but i was clearly able to hear voice.Dr grover was not there. I paid 51000/- for the name of Dr Grover. (because one lady doctor in AIIMS advised me to get my squint operated either in AIIMS or by Dr Grover and because of timing constraint I didn't go to AIIMS ). after 2 months of surgery (after completing normal post surgical procedure) redness in my right eye was not over and it looked like as there is some additional layer.when I reported the same to Dr Grover , how badly he responded over it I can't even describe. "aur abhi 4 mahine theek nahi hogi.ab tumbe kuch bola to i will ask my staff to throw you out of my center"..
after that incident I never vistied again to him.same problem is still present in eye.and Squint also was not visible in starting time but now it is visible again. it almost 5 month has completed but condition of my right eye is same.residual squint is also present. so my total effort, my money and most important the pain I Felt during Surgery is of no use . overall exp is very Bad.